FCA, Nissan and Honda, which recently stressed the need for scanning before and after all or nearly all collision repairs, will participate in a panel of OEMs discussing the topic at NACE, the expo announced Monday. 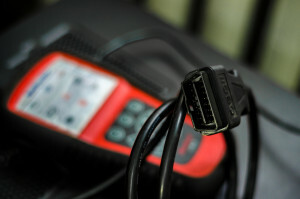 Nissan and Honda also pointed out in their recent position statements that components or systems might require calibration as well, and both that forum and another August NACE Week event hosted by SCRS will address the other electronics issue too. The news probably comes none too soon for shops and insurers unaware of or unwilling to follow prior expert and OEM demands on either procedures. Besides FCA’s Brian Wayne, Honda’s Chris Tobie and Nissan’s Mark Zoba, the NACE panel Aug. 11 will include Mark Allen of Audi, John Eck of General Motors and Eric Mendoza of Toyota (whose company’s 2010 CRIB 177 airbag calibration directive tends to yield shop-insurer disputes). Rounding it out will be moderator Mike Anderson of Collision Advice and lone insurer Clint Marlow of Allstate. Check it out Aug. 11 at 9:30-11 a.m. on the NACE expo floor’s Central Stage, located in the Anaheim Convention Center. A 30-minute Q&A will follow. Last year, the topic also came to NACE through an I-CAR panel hosted by Jason Bartanen and featuring Jake Rodenroth of ABRA; Chuck Olson of Collision Diagnostic Services; Ben Johnson of Mitchell; Dustin Harrier of Service King; and Dennis Williamson of Snap-On. Rodenroth has since moved to CDS, which bills its asTech device as a scanning middleman between shops and OEM scan equipment. He’ll return to NACE Week in his new role to offer a guest Education Committee presentation on calibration during the Society of Collision Repair Specialists’ open board meeting. The entire meeting, which doesn’t require preregistration and is open to SCRS members and non-members, runs 9-11 a.m. in the Gold Key III room of the Anaheim Marriott. The organization also hosted a forum including Rodenroth and Mendoza as panelists last year at SEMA. See coverage here.